I led the field trip for my Warblers and Flycatchers class Saturday morning. We walked around Mt. Tabor Park in SE Portland for several hours. Spring migration tends to occur in waves, with some days producing large numbers of migrants, and other days producing very few. Unfortunately for the class, Saturday was one of the “very few” days. But despite the total lack of flycatchers and the near absence of warblers, we still enjoyed whatever birds we came across. 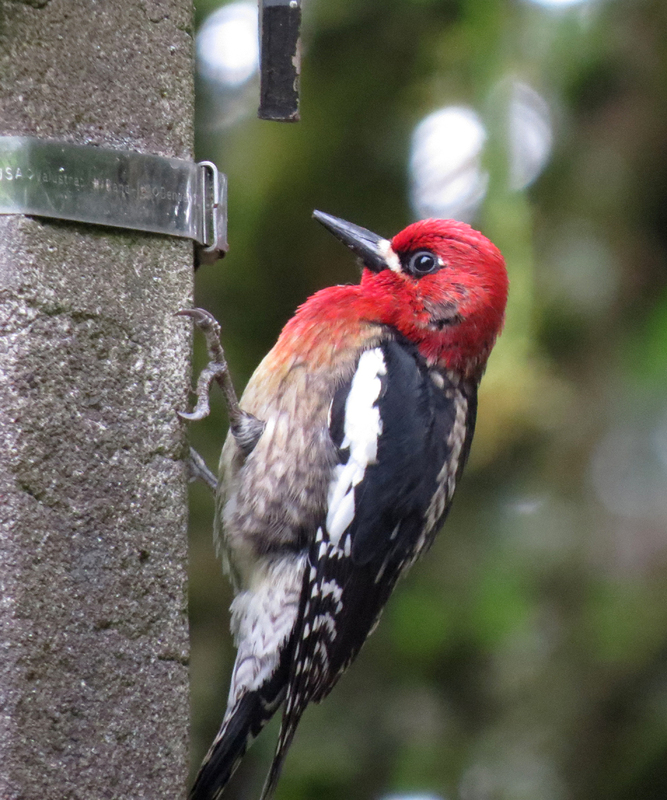 One of the more entertaining birds of the day was this Red-breasted Sapsucker. This individual has become rather famous for drumming on the metal band on the concrete street light. 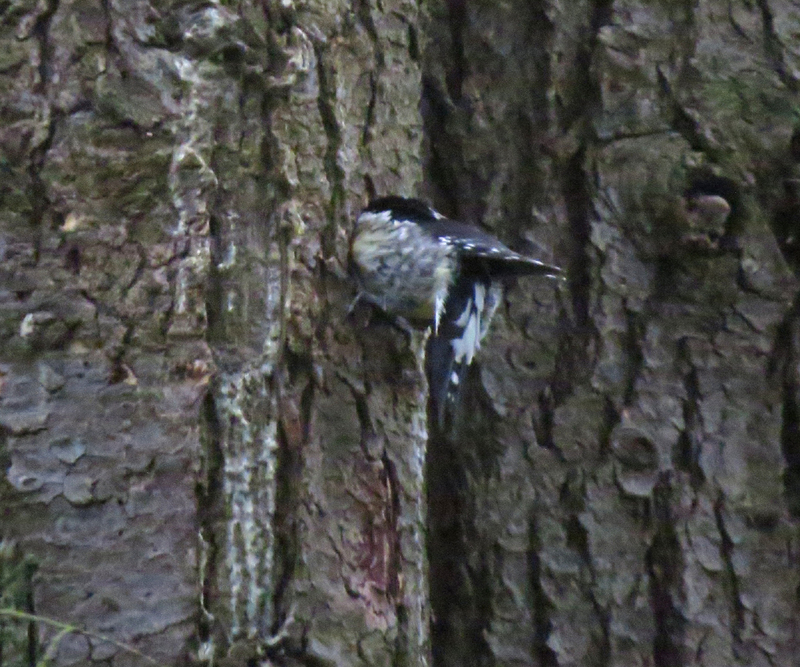 In the woods nearby, we found this sapsucker excavating a new cavity. So even though we dipped on most of our target species, we proved again that there is always something to see. 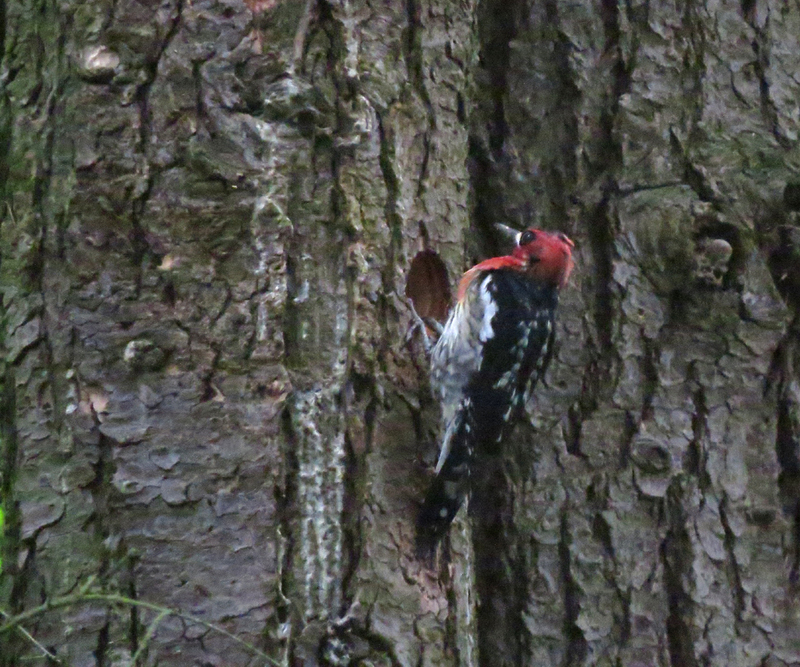 This entry was posted in behavior, nesting and tagged Red-breasted Sapsucker. Bookmark the permalink. Our abundance of “buggy” trees seems to keep the Red-headed Sapsuckers fairly busy out here in Hillsboro! Perhaps you can answer a quandary. A neighbor was concerned when I mentioned the sapsuckers feeding in our trees. She said they will kill the tree if permitted to peck holes that complete a circle around the tree. John, what do you think about this? I have heard of sapsuckers killing individual branches when the birds’ sap wells completely encircle the branch, but I am not familiar with cases of birds killing entire trees.